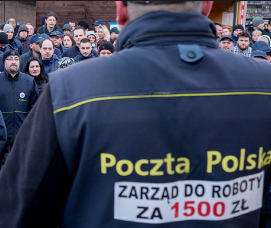 Read more about Solidarity with Postal Workers, Against State Repression! 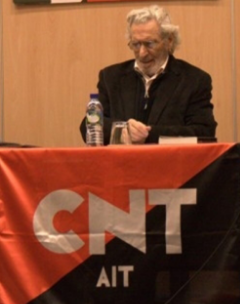 We are sorry to hear of the death of long-time anarchist militant and member of the CNT Spain, Jose Luis Garcia Rua. Garcia Rua passed peacefully on Friday morning, January 6 at the age of 93. Rua was born in 1923 in Asturias, Spain. His father had been a member of the CNT who perished on the Oveido front during the Civil War. In 1939, he was forced into exile in France, eventually winding up in a concentration camp of Argelers and Barcarès, however he was able to return later than year. Garcia Rua began a career as an academic, but worked in construction, metal and mines. He was involved in anti-Francoist activity and ultimately repressed for his role in a miners' strike. He lost his job in academia for some time but ultimately became a professor of philosophy in the University of Granada in the mid-70s. In 1977, after the death of Franco, he was chosen Secretary of the Andalucian region of the CNT, a position he held twice. Between 1986-1990, he served as the General Secretary of the CNT and from 1997-2000, as the General Secretary of the IWA. He is the author of numerous articles and books, both related to anarchosyndicalism as well as his academic interests. 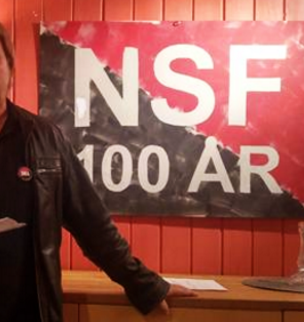 On May Day 2015, he made an impassioned speech about the International Workers Assocation, calling on comrades to continue the tradition of militant anarchosyndicalism. This was the last speech that he made in public.